Srinagar: A complete shutdown is being observed in Kashmir valley on Saturday to mark the sixth “hanging” anniversary of Afzal Guru who was executed in Delhi’s Tihar Jail on this day in 2013. Joint Resistance Leadership (JRL), comprising of Syed Ali Geelani, Mirwaiz Umar Farooq and Yasin Malik have called for the shutdown and also reiterated their demand for handing over Afzal Guru’s mortal remains to the family. Reports said that all the shops, and other business establishments are shut in Kashmir’s capital city Srinagar and other major district headquarters of the valley. The government has made heavy deployments of police and paramilitary forces at many places in Srinagar and other districts. 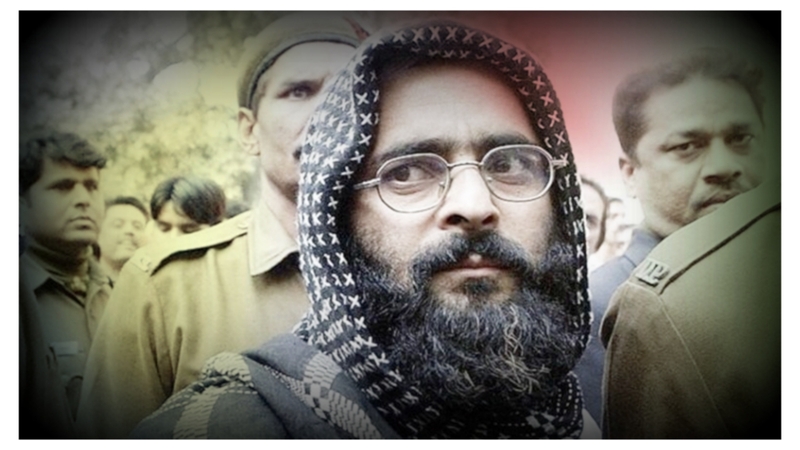 Guru’s body was buried within the premises of Tihar jail where he spent 12 years in solitary confinement. While Geelani continues to remain under house detention for the past ten years, the government Friday evening placed Mirwaiz Umar Farooq under house arrest at his residence in Nigeen.